If you choose to go with this option, you should be able to insert HTML code to your website. This is usually done using the CMS (Content Management System) your site is based on, or manually, by editing the appropriate files. 1. From My Publications page open the publication and click the Embed button. 2. Copy the provided code of the popup window and paste it on your website. Tip: If you wish to embed the publication on your WordPress/Joomla website then click the WordPress/Joomla tab and use the corresponding code. Keep in mind that you need to install the WordPress/Joomla plugin. 3. 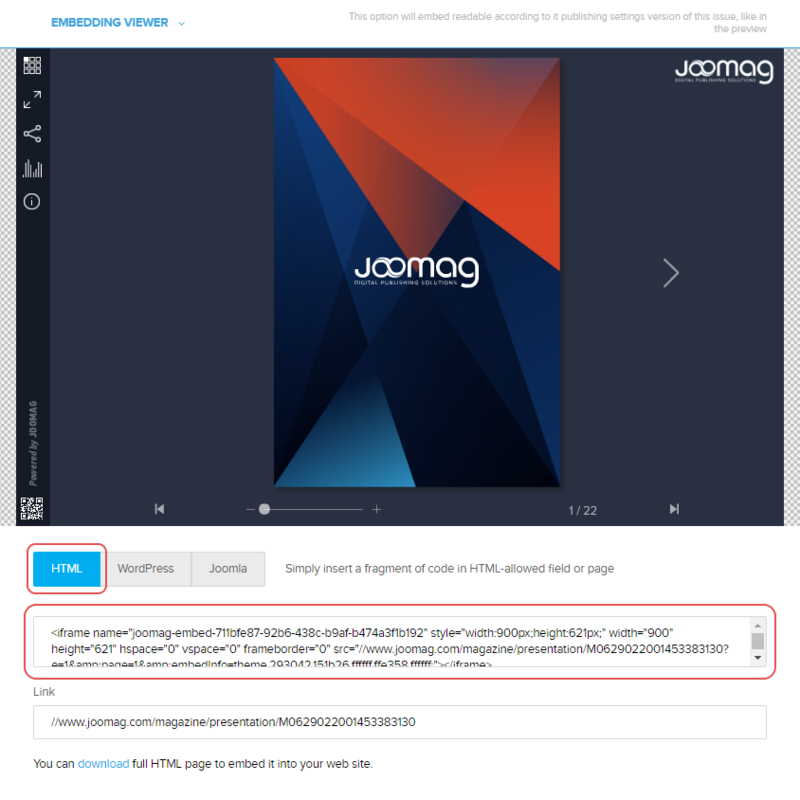 You may also customize the look of the embedded publication by clicking the CUSTOMIZE button.